Lloyd James "Jim" Kissick III, president and co-founder of Kissick Construction Company in Kansas City, Mo., passed away at his home in Leawood, Kan., on Dec. 8, 2018. He was 68. Mr. Kissick was born Sept. 4, 1950 in Kansas City, Mo., to Lloyd James Kissick Jr. and Mary Catherine (Bauers) Kissick. He was the only brother to his much-loved sisters, Karen, Connie, Susan and Kim. Mr. Kissick began working for his father's construction company, Kissick and Son Construction, at the age of 12. Through construction and sports, he formed a special bond with his father that lasted until Lloyd Jr.'s death in 1974. Mr. Kissick attended St. Peter's Catholic School and Rockhurst High School. While at Rockhurst, he became a passionate fan and later a valued sponsor of Rockhurst Hawklets sports. After high school he went on to the University of Missouri, where he received a master's degree in civil engineering. In 1976, he met Cecelia Ismert while working as the director of public works for Jackson County, Mo., and they began their 39-year marriage on June 16, 1979. 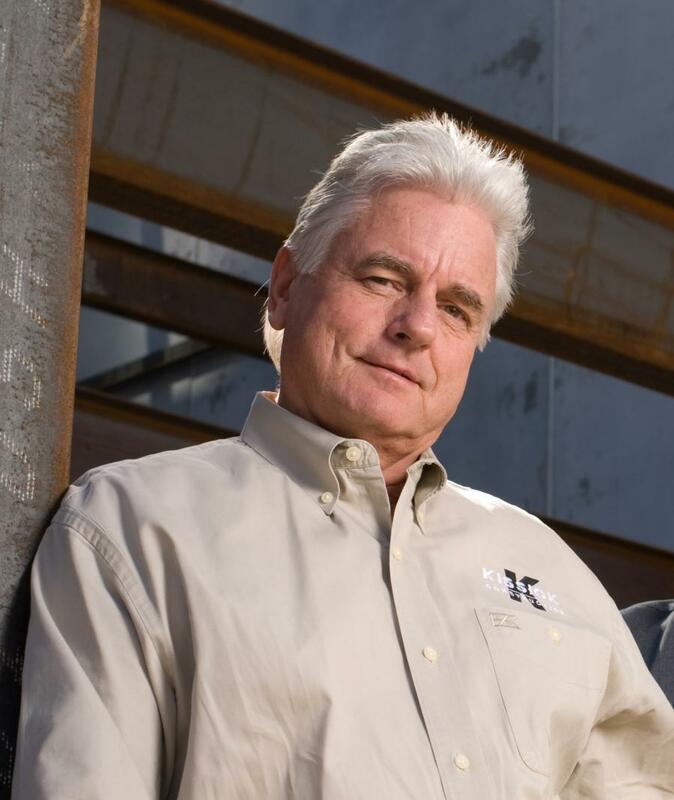 Mr. Kissick and his nephew Peter Browne founded Kissick Construction Company in 1994. Taking a gamble on himself, he invested nearly every dollar he had into starting the company despite having three young children at home. Though he was building a company, he still made time for his most important job: being a father and husband. He would coach his boys in basketball and attend every one of his sons' sporting events or extracurricular activities, all the while working 14- to 16-hour days building his company. His passion, hard work, honesty and loyalty helped transform Kissick Construction from a small construction firm with modest roots into a $100 million firm with more than 400 employees. "Though he was as excellent public servant as public works director, I could tell his heart was in the construction business," said Jim Iliff, who succeeded Mr. Kissick as Jackson County public works director. "It was no surprise to me that he went on to be very successful in that realm." Mr. Kissick was a pillar in the construction community and a mentor to many. He was respected within the industry and was involved in the construction industry through various boards and projects, including the Heavy Constructors Association, St. Teresa's Academy Board of Advisors, The University of Missouri Civil Engineering Alumni Advisory Board of Directors, a member of the Civil Engineering Academy Distinguished Alumni at the University of Missouri and the Kansas City Area Development Council. He was an irreplaceable figure in the construction industry. Mr. Kissick was an avid sports fan. He was a season ticket holder with the Mizzou Tigers, Kansas City Royals and, for more than 50 years, the Kansas City Chiefs. Oftentimes he would be found surrounded by his sons, many of his nieces and nephews and closest friends in parking Lot C of Arrowhead Stadium. He was famous for his tailgate parties before Chiefs games. Along with his family, his friends and his career, Mr. Kissick had a passion for the NAIA basketball community. Continuing the legacy his father started in the '50s, he supported the NAIA basketball tournament each year through the Honorary Coach Program and sponsored countless NAIA events. He formed a special relationship with Georgetown College, a small liberal arts college in Georgetown, Ky. He loved to cheer on the Georgetown College Tigers throughout every season and was a prominent figure on the bench during their 2013 NAIA National Championship. Georgetown College honored him with his very own championship ring, which was proudly on display in his office for everyone to see. There is a Kissick Construction banner hanging proudly in the Davis-Reid Alumni Gym. Mr. Kissick also was an avid golfer who always enjoyed playing a round with his sons and many friends. He was often seen enjoying a cigar at his lake house at the Lake of the Ozarks aboard his antique Chris-Craft boat. He could be seen at the helm of his Regal runabout with his wife, his sons, daughters-in-law and grandchildren in tow. He was famous for his big bear hugs and his charismatic personality. He was loved and cherished by so many and will be dearly missed amongst his enormous group of family, friends and the entire Kansas City construction industry. Mr. Kissick was the father of three sons, Lloyd IV (Marie), David (Monica) and Patrick; and the cherished grandfather of Graciela, Lloyd V, Lucia, Gianna, Charles and Rose. He was a best friend, mentor and hero to his boys and loved to share stories and pictures of his grandchildren with friends and coworkers. The family has asked that donations be made to Truman Heartland Community Foundation Jim Kissick Memorial Fund at www.thcf.org/Your-Giving/Give-Now.